Quite awhile back I did a fun swap in which I got a few Catherine Arley holographic polishes. I realized a few weeks back that for some reason or another, I had never gotten around to wearing any of them! As that was just totally not acceptable, I picked one out right away. I love it! I almost closed out google reader and then saw "holo goodness" and had to check out this post! 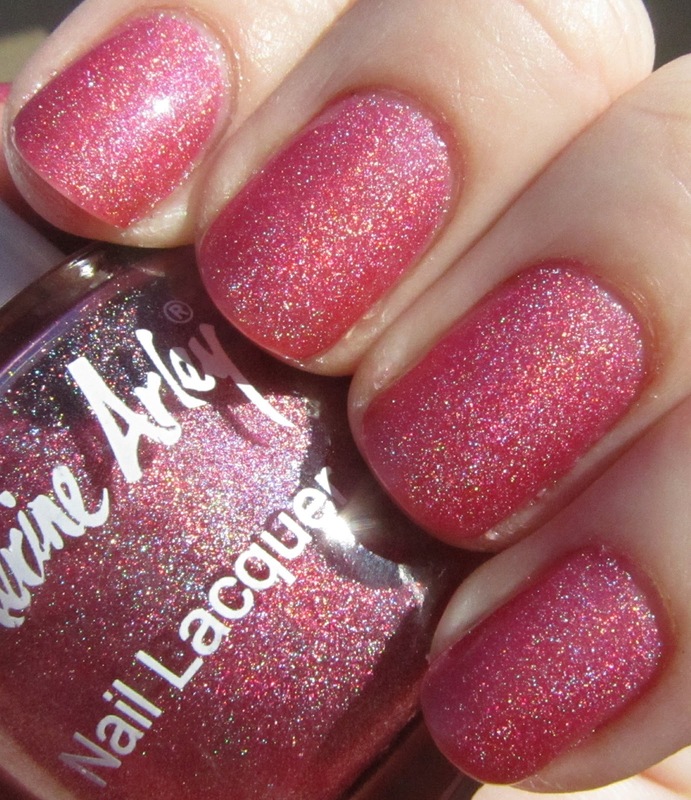 Great color - I like that it's a soft holo and not overwhelming. It looks great on you! I'm waiting to get 12 of these in the mail! I'm so excitied! Thanks for sharing! !